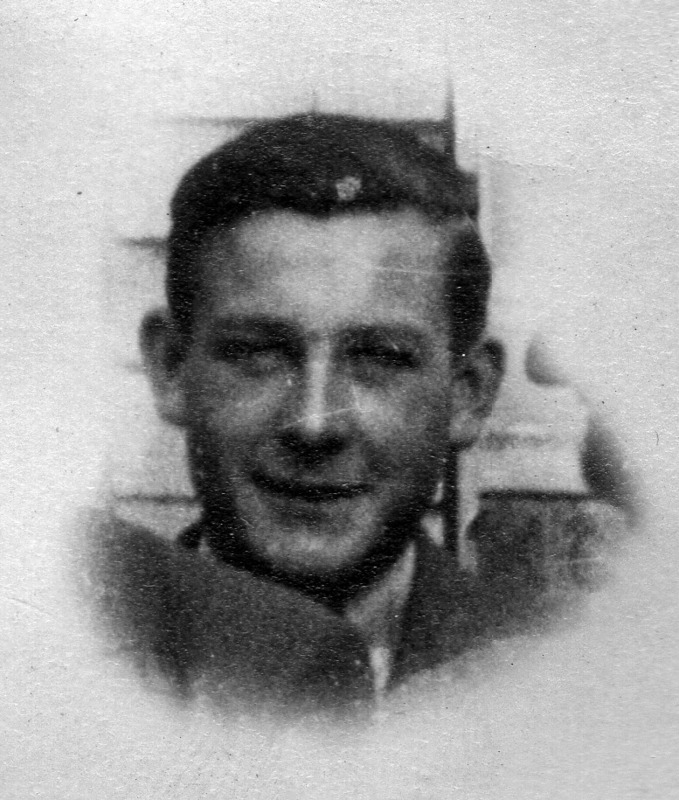 Driver Wilfred Williams, 14572456, Royal Corps of Signals, died 24 April 1945 in a military hospital and is buried at Becklingen War Cemetery, Germany. The site of Becklingen War Cemetery was chosen for its position on a hillside overlooking Luneburg Heath. Luneburg Heath was where, on 4 May 1945, Field-Marshal Montgomery accepted the German surrender from Admiral Doenitz. This was less than two weeks after Wilfred died. 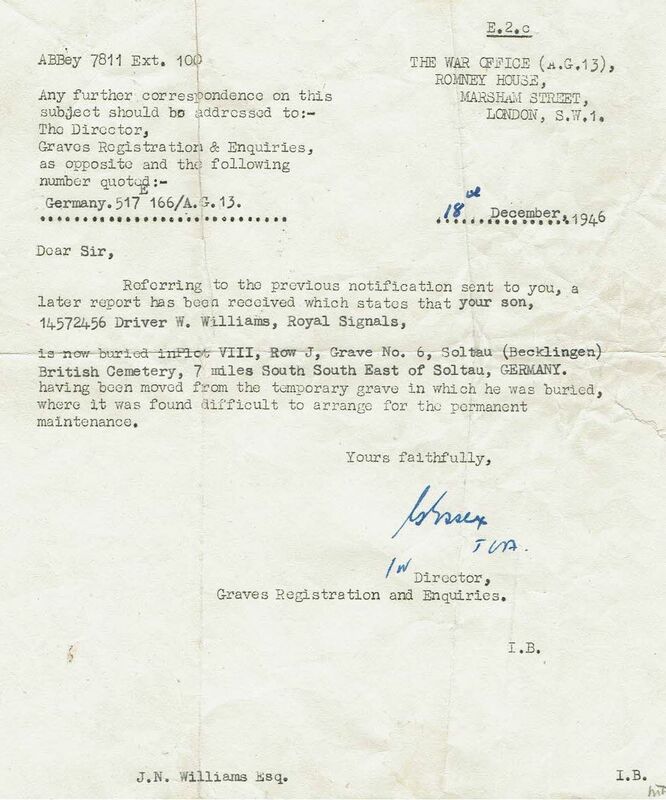 As with many others Wilfred was brought into the cemetery from a temporary grave elsewhere. 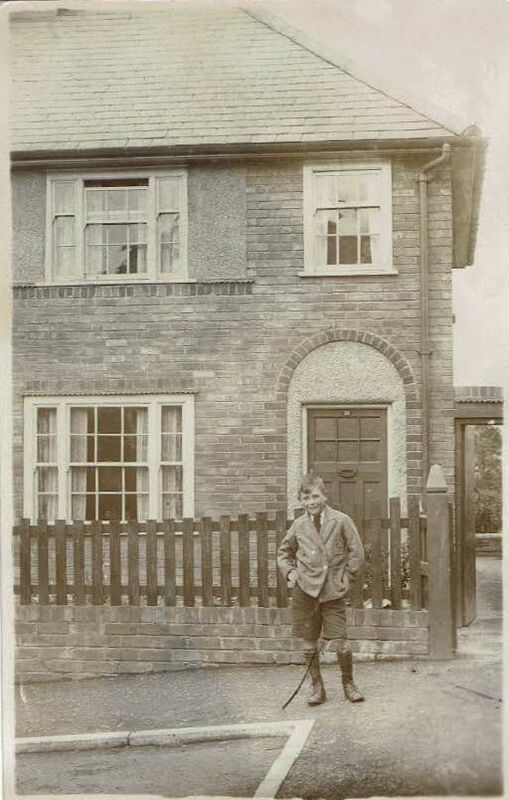 Wilfred was the son of John Henry and Lydia Williams (nee Hughes) of Hillside Crescent Buckley. They had ten children: Mair, lived in Heswall; Doris lived in Bagillt; Jack lived in Buckley; Elizabeth (Bet) lived in Pensby, Wirral; Ernest lived in Mold. Bert lived in Sychdyn (father of Eifion); Edith (Edie) lived in Buckley; Ruth lived in Belfast; Ronald (Ronnie) lived in Buckley (father of James); Wilfred. Family memories for Wilfred have been provided by his nephew James Williams. 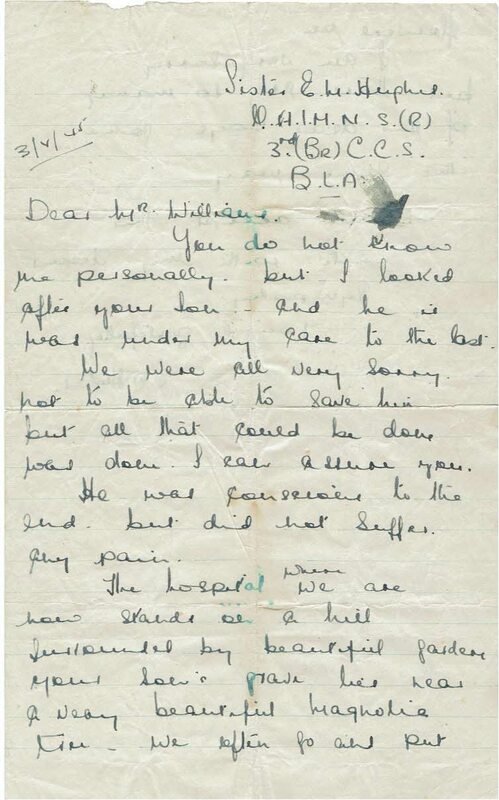 These include a letter informing John Henry that his son had been moved to Becklingen War Cemetery, a letter from a nurse who was looking after Wilfred when he died, and a photo of Wilfred as a boy. 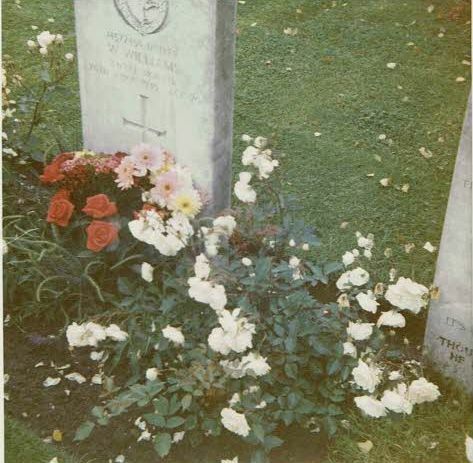 Additional photos showing an adult Wilfred and his grave were provided by another nephew Eifion Williams.